Rugged and well built, the BMW X5 is an SUV designed for drivers who aren't prepared to compromise. Offering considerable road presence and an elevated driving position, a used BMW X5 is outstanding on all surfaces and will always ensure you reach your destination in comfort and style. A choice of economical diesel engines help to keep running costs down and the considerable interior space guarantees plenty of room for the whole family. 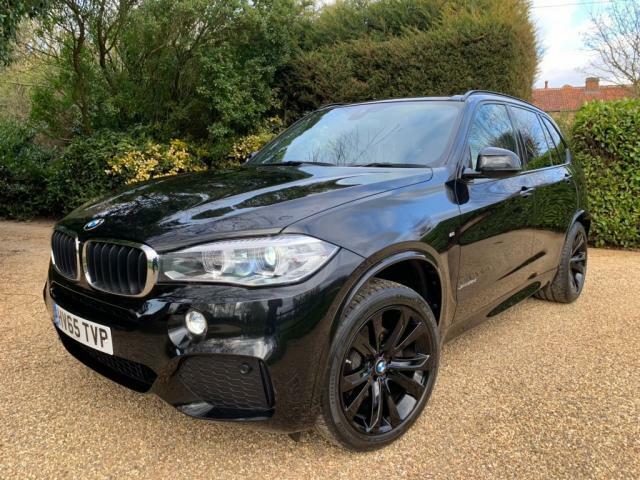 Discover more by contacting a member of the team at Barry Kendrick T/A Kendrick Cars today, and take the opportunity to browse our complete range of used BMW X5 models for sale in Nottingham here on the website. Finance is available to UK residents aged 18 years or older, subject to status. Terms & Conditions apply. Indemnities may be required. Other finance offers may be available but cannot be used in conjunction with this offer. We work with a number of carefully selected credit providers who may be able to offer you finance for your purchase, commission may be received. We are only able to offer finance products from these providers. Postal Address: Barry Kendrick T/A Kendrick Cars, Furlong House, 19 Browns Lane, Stanton-on-the-Wolds, Keyworth, Nottingham, Nottinghamshire NG12 5BL. Find contact details here. Barry Kendrick T/A Kendrick Cars is authorised and regulated by the Financial Conduct Authority, FRN: 677686. All finance is subject to status and income. Written Quotation on request. We act as a credit broker not a lender. We work with a number of carefully selected credit providers who may be able to offer you finance for your purchase. We are only able to offer finance products from these providers.